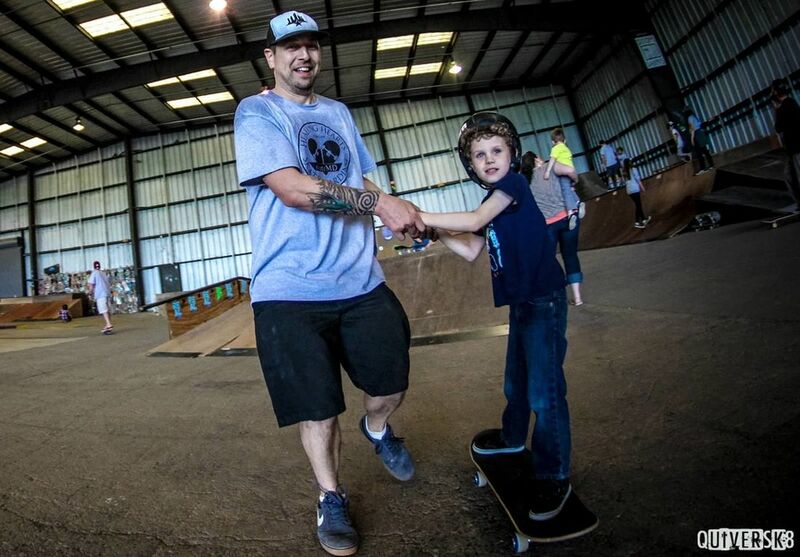 Our program currently consists of free one-on-one skateboard clinics for children with special needs every other month at local skate parks in the Sacramento region. Each clinic hosts approximately 25 children and 70 volunteers. The Sacramento clinics are tentatively held on weekend days in January, March, May, July, September, and November. We also host at least one clinic annually in the CA Bay Area, generally in August. Each clinic includes snack, drinks, and lunch and skateboard equipment is provided for use during the event, if needed. We also try to include other fun aspects for socialization such as group skills time and an art station. The next clinics for children with special needs are scheduled for April 27th on Maui and May 19th in the Sacramento area. For families on Maui, registration is now open for the April 27th clinic. Please send an email with child's age and diagnosed disability to skatemd.healinghearts@gmail.com to enroll. For all other clinics, registration will open approximately 3 weeks before the clinic date. Read below for more information. We open participant registration approximately 3 weeks before each clinic and accept enrollments up to event capacity - typically 25 children. We utilize our Facebook page to announce when the registration window will open for parents to register. We will post registration instructions directly on our Facebook page, which will include an Eventbrite link to the clinic-specific registration form. Once all clinic spots are taken, we also accept children on a waiting list through the same Eventbrite process. It is recommended that you follow our Facebook page closely for updates as spaces tend to go very quickly. If you are not on social media but would still like to receive updates, you may request to be added to our email list via the Contact Us tab on our website. "When we left the house that morning he kept saying he didn't want to go. He was very skeptical and cautious until Curtis and Garrett got a hold of him. Once his feet touched the board and he realized he had all the support and guidance he needed, he took off. I couldn't keep up with him the rest of the day. "Shane (volunteer) was very patient and relaxed. Everyone was so supportive. Really enjoyed the camaraderie here. Wonderful." - Michael Linn, father of Toby Linn. Skateboarder with Down Syndrome. "This clinic is the most wonderful. Luke doesn't just bond to "new" people. He hates noise. Not here! The clinic spoke to ALL of those things but Luke is so relaxed.... It is amazing. There is no crying, screaming, flapping...."
During the week prior to the clinic, our board member and Licensed Physical Therapist, Erik Nielsen, will call your family to understand your child's needs better and make the best plan for him/her. Please be sure to connect with Erik to ensure the best experience for your child. You can prepare your child prior to event day for what to expect by sharing pictures and videos from this website and also reading stories about skateboarding. Some parents ask if siblings are allowed to attend. We kindly ask that you leave siblings at home, if possible, so that we are able to focus on the participants. The skate park already fills up very quickly with participants, volunteers, and parents; larger crowds can be overwhelming to some of our children with sensitivities and we try to minimize this as much as possible. Feel free to bring any assistive equipment that you think may be helpful. Please do not arrive too early. Our volunteers receive an orientation before each clinic starts. We would like to take advantage of this opportunity to ensure the best day for your child. Have fun! We have heard many parents say this is the first opportunity they have had to sit back and watch their child being supported and enjoying. We hope that you will find this to be true also. For children already registered for a clinic, a release of liability is needed is required. To save time, we recommend completing the waiver in advance by clicking the link below. Completion of this waiver does NOT confirm your child's enrollment in a SkateMD clinic. Parents must follow the registration process to confirm a child's spot in a scheduled clinic.